Excel Networking Solutions is running their annual series of Partner Briefings this month and next. Presentations and a mini-exhibition will be held across the country in London, Birmingham, Manchester and Glasgow. The Excel Partner Briefings are designed to keep Excel Partners and Consultants up to date on all the developments to the Excel Structured Cabling System – an important event for those who sell and support the Excel solution. This year, Excel will be showcasing their recently launched Passive Optical Network (PON) Solution, with the new product range available to view during the mini-exhibition. The events intend to bring attendees up to speed on the latest technology in Passive Optical infrastructure, as well as to inform Excel partners of the most recent updates to industry standards and regulations, particularly surrounding the Construction Products Regulation and the BS6701:A1. Furthermore, Excel’s Digital Marketing Manager, Luke Carthy, will be discussing his ten best practices for web optimisation alongside his team’s development plans for the Mayflex and Excel websites in 2019. The events will be educational and informative and will provide Excel’s partners with the knowledge and tools to help sell and support Excel. 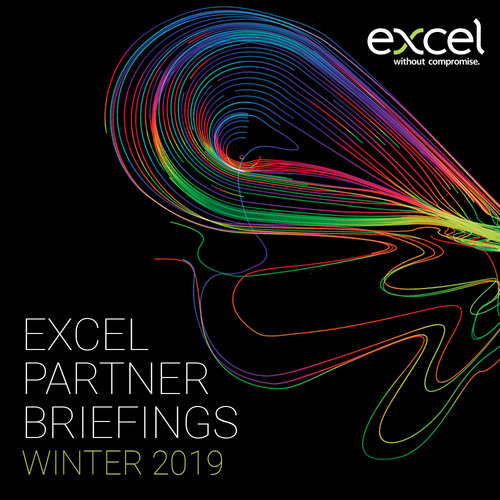 Another commented, “The Excel Partner Briefings were a useful reminder of the sales tools, collateral and technical support available from Excel”. If you would like to apply to become an accredited Excel partner and enjoy future partner briefings, a 25 year warranty and specialist training courses amongst other benefits, you can do so via the website.